If y’all have been following my blog or social media accounts you probably know a couple of things about me… I LOVE Fixer Upper and I often redecorate my home just by changing my pillow covers! So of course, I’m always watching Fixer Upper to see what kind of pillows Joanna Gaines is using. One day I wondered if she sells the pillows I saw on the show. Turns out that she does! But another thing you probably know about me is that I’M CHEAP! 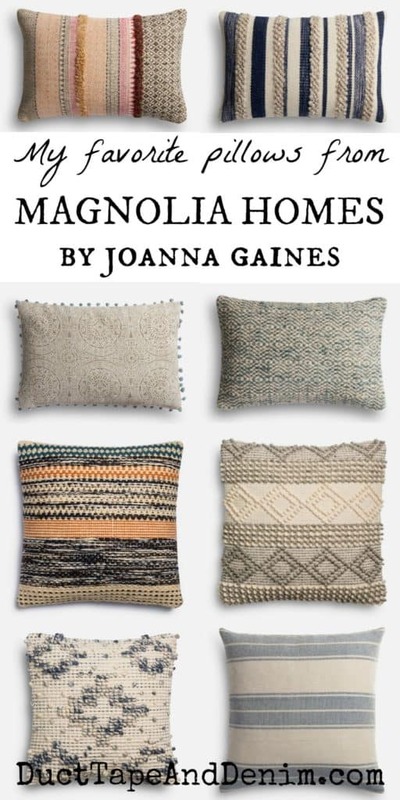 Joanna Gaines pillows ARE beautiful and they’re now available online! But, if you’re like me and need a more affordable alternative, check out these options that I found. 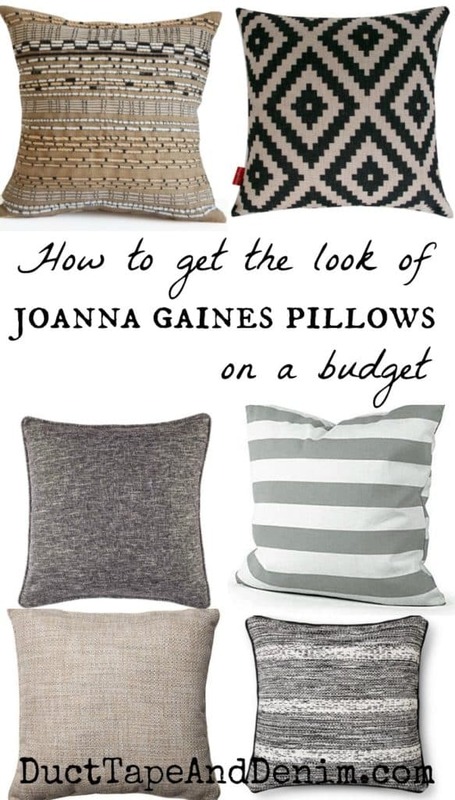 First, take a look at the pillow that Joanna designed. These are just the perfect amount of color for a neutral-lover like me! 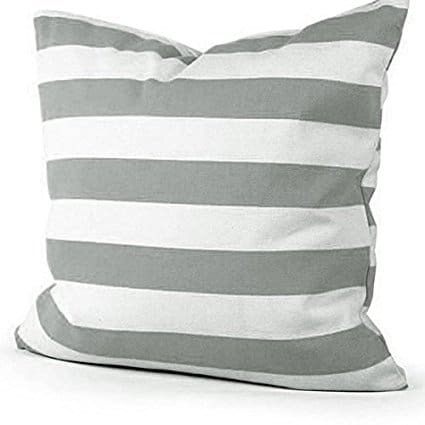 Simple Gray Striped Pillow Cover – Joanna calls hers the Ivory Coast pillow and it’s $98! Granted, that price includes the feather pillow, it’s linen, and it’s a bit larger than the pillows I have (22″ vs. 18″). But this cover is under $10 on Amazon and gives a very similar look. This cover does come in different sizes. 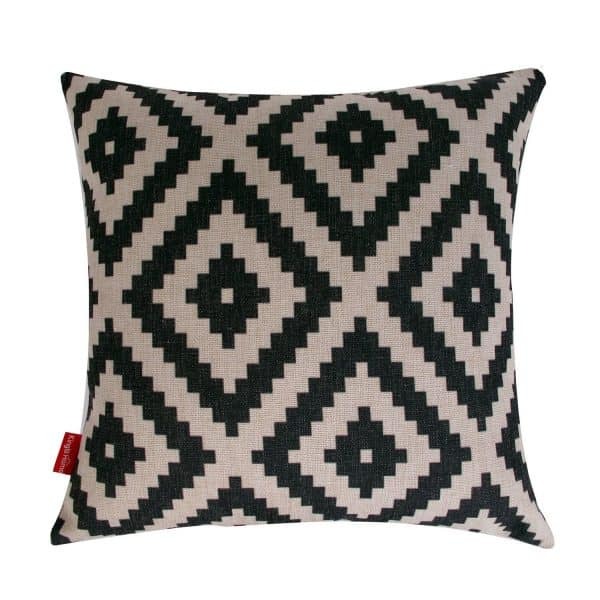 Black Geometric Pillow Cover – The pattern in Joanna’s pillow is a little more subtle. I ordered this one for my living room! 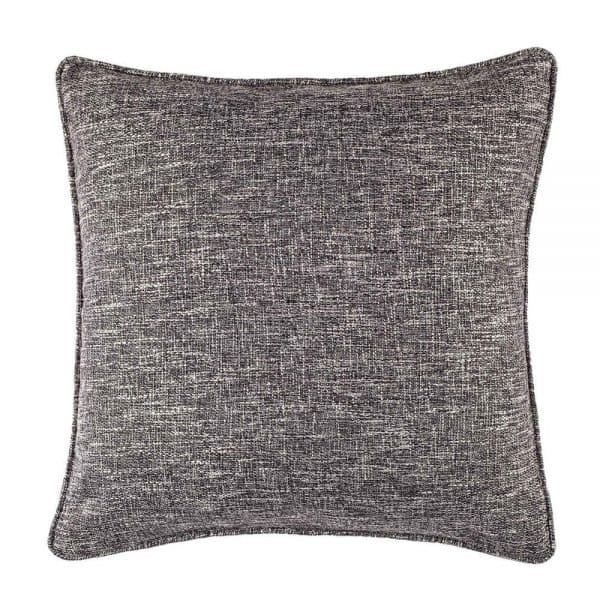 Tweed Pillow – This tweed pillow from Target doesn’t have the blanket stitched edge that the Magnolia Market pillow case has but it’s also about half the price! 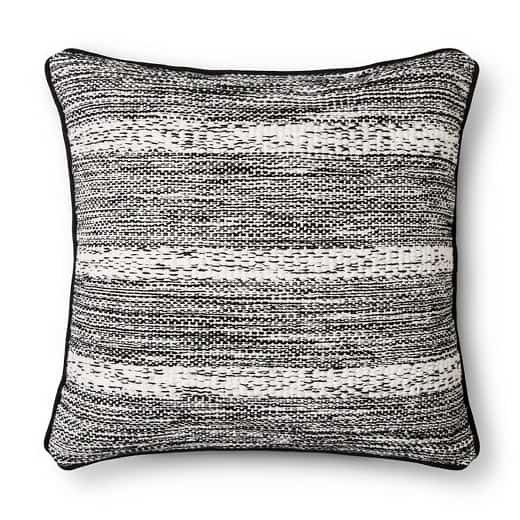 Handcrafted Woven Textured Pillow Cover – I don’t say it very often but this pillow from Magnolia Market actually has a little more color and pattern than I like. 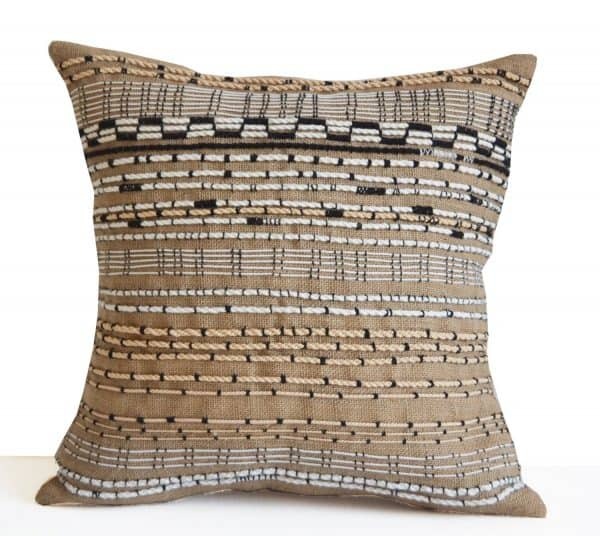 I prefer the simple and neutral colors in this pillow cover. I hope this list helps you find the perfect throw pillow for your living room! Thanks for reading! Originally published April 3, 2017.